PayWhirl supports having multiple gateways connected to one account. When you first register and create your new account you will only have one gateway connected to your account called the "PayWhirl Test Gateway." The PayWhirl Test Gateway allows you to run "fake" test charges in the system as you are setting up your account. You can use any credit card number (eg. 4242 4242 4242 4242) with any expiration date in the future (04/20) and 3 digit cvv (eg. 123) to create test customers. This way you can preview how invoices will look, how charges will be scheduled, etc. as you setup and test your account. Any CVV and Expiration will work. Only the last 4 numbers of the card are saved. Note: This gateway is for testing ONLY. Customer information cannot be transferred to a live gateway later. To test your widget before you embed it into your site, click edit next to the widget you want to test. Go to Advanced Settings to make sure the test gateway is selected. The "Widget Preview" is actually a fully functional widget and works identical to those embedded in your site. You can also click the Full Width Preview to open it in a separate window to see how the spacing looks. Once you fill out your profile/shipping information you can enter a credit card. This can be any card number like "4242-4242-4242-4242". Once you complete checkout you will be logged into the customer portal as the test customer. You can explore to see what they see. Now that you have a customer and a transaction you are able to view items in the Invoice and Customer tab in the PayWhirl admin dashboard. You can see all upcoming invoices and manage your customers account as an admin. 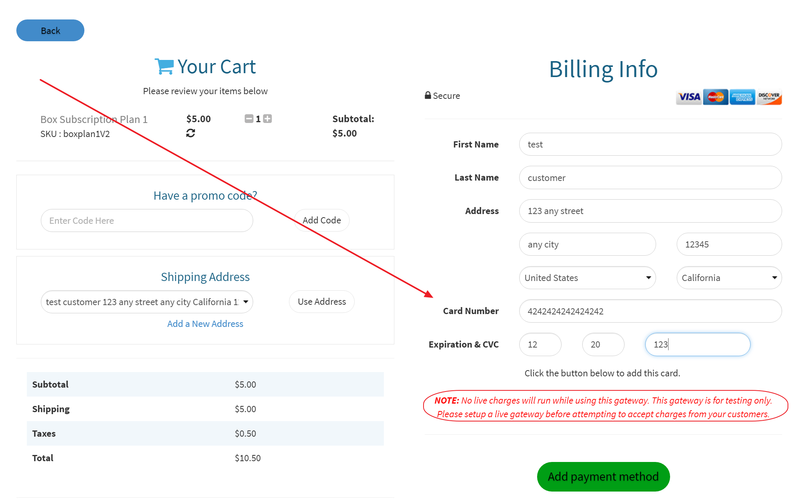 If you want to view the upcoming pending subscription charges you can click the view button. Note: The system will only generate the very next upcoming invoice in a payment plan at a time. If you click on "View" next to the upcoming invoice you can advance the plan to the next invoice by either marking it as paid or clicking charge card. "Marking it as paid" is normally used with a live gateway if the customer paid by other means. This would skip charging the card. Clicking "charge card" would normally charge the card on file but because you are using the test gateway there won't be an actual charge run. Note: When you're ready to go live and you have finished testing you can delete your PayWhirl test gateway to remove all your test users and data from the system. This will reset all the graphs, stats, etc when you go live so the account is fresh and clean at launch. Finally, you will be limited to 10 test customers in PayWhirl until you connect a LIVE payment gateway to your account. 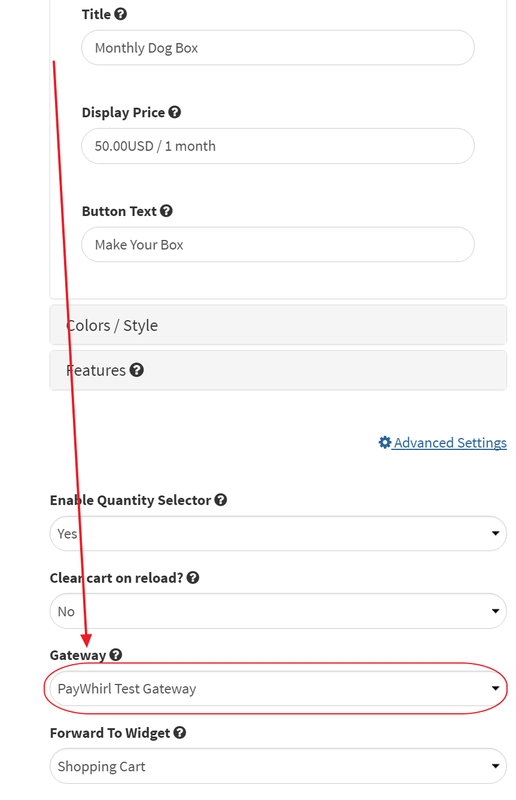 You can connect to Stripe anytime (or another gateway on paid plans) under Settings & Account > Account Settings > Payment Gateways in the main menu in PayWhirl. If you have any questions about testing or the PayWhirl test gateway please let us know.